The 2013 LP National Team Physician Training Course was successfully held from the 13th to the 16th of June in Shenyang Maritime Hotel in China. This course is the premier conference in the Sports Medicine & Arthroscopy field in China. It brings scholars and professors in the field of science, sports medicine, orthopedic and rehabilitation field together to discuss the development of medicine, sport, and education. It’s is one of the most important academic conferences before the 2013 China National Games. During the conference, LP invited Dr. Lee, professor at Guangdong Vocational Institute of Sport, to give a lecture on China athletic trainers’ development and taping application in China. His vivid lecture and practical taping application demonstration generated great audience interaction. 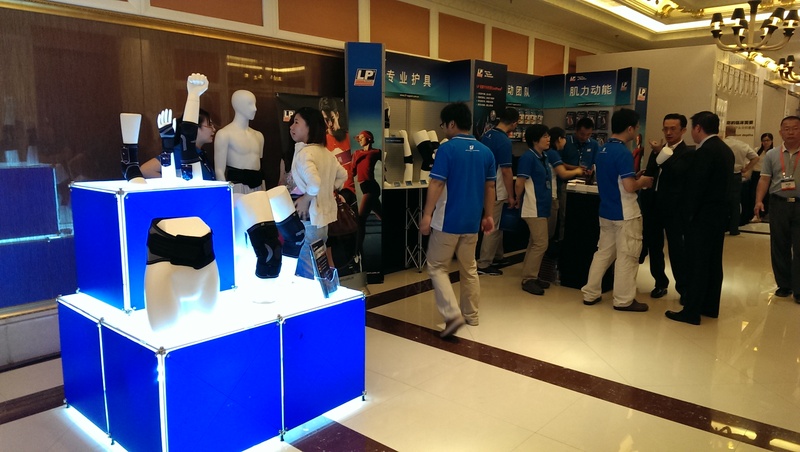 In addition, to present one of the latest trend in the field of sports protection, LP invited the LP medical consultant to introduce the functions of MAXTAPING, one of LP’s innovative product, and to demonstrate the proper application of the product. Thanks to the demonstration and good interaction among the participants, the skill and knowledge were well received by the athletic trainers in attendance. In this course, LP provided the most professional products and the most innovative trends through eye-catching booth displays and outstanding training courses. Through continuous sponsorship and education, LP will carry on formulating the right sports protection concept so that sports enthusiasts will continue to enjoy the game with LP products.